The Professional Area will comprise an on-line wholesale ordering system with LIVE stock availability for you. In future, a media library will be available for you to access graphic files including logos, product images, marketing images and technical and clinical information. TOTALLY DERMA works from the inside out: collagen contributes to skin firmness and elasticity and hyaluronic acid hydrates the skin and confers volume and density, thus filling in wrinkles. 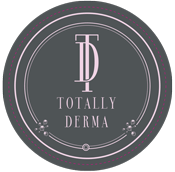 TOTALLY DERMA is also shown to boost collagen and hydration levels throughout the body, with visible improvements in overall skin, hair, nails, joints and gynecological menopausal dryness. Collagen – any good for joint pain?